Notwithstanding the realty analytics agencies’ claim that the demand for commercial space is picking up across the metros and mini metros, the realtors air a different view. They did not see any big change in the commercial space sales, especially in Hyderabad, in the last three years. Hyderabad: Notwithstanding the realty analytics agencies’ claim that the demand for commercial space is picking up across the metros and mini metros, the realtors air a different view. They did not see any big change in the commercial space sales, especially in Hyderabad, in the last three years. For over two decades, Hyderabad is considered paradise for realty, especially commercial space, being 15 to 20 per cent lower in rental values compared to class 1 cities like Mumbai, Delhi and Chennai. “There is no pick up in the sales of retail or commercial sales in the city and with the increased acceptance for the e-commerce activity, we cannot say how the market turns,” P Dasharath Reddy, President, Telangana Real Estate Developers Association, told The Hans India. It is an honest acceptance of truth, however, quickly adds, “as of now, there is not much of awareness about the e-commerce in garments and jewellery, which take major chunk of commercial space the malls.” He never knows when the market tilts for the mall-realty space market and is not willing to predict. “It may take some more time, when each one of us agrees to buy garments – for men, women and kids – on line.” He still sits with his fingers crossed. However, JLL India sees a gradual improvement in the market sentiment in the second quarter this year compared with May 2014, prior to general elections. However, these agencies also consider the space being consumed by the e-commerce companies for their stocking needs. The global experience is no difference as malls are seen closing as there is low foot traffic. For instance, there is rising vacancy rate and plummeting rents became common in Chinese malls, as against the official data suggesting sharp rebound in retail sales beating expectations in the third quarter, reports Reuters. The agency reported from China: Major listed mall operators are also feeling the pain. Dalian Wanda, a big property developer, said in January it would close or restructure 30 of its retail venues and in August said more adjustments were underway. While Malaysia-based Parkson, which operates more than 70 department stores in China, closed several of its stores in northern China last year following a 58 per cent drop in China net profit in 2013. 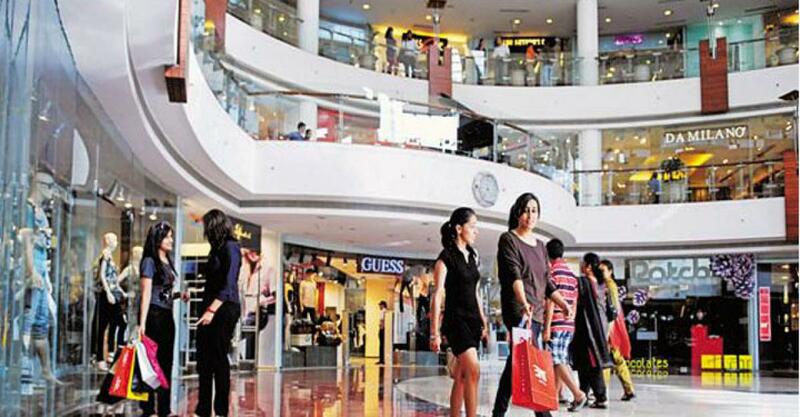 In fact, falling foot traffic will bring down the cash flow to malls and realty developers getting the heat of it, also a potential hazard for a growing economy. Thus, there is a need for the governments to streamline the e-commerce business keeping in view the health of traditional businesses, as they account for larger employment creators.